The annual exhibition “Celebration of Youth XXIV” continues through September 30th at the University of Nebraska-Lincoln’s Robert Hillestad Textiles Gallery. 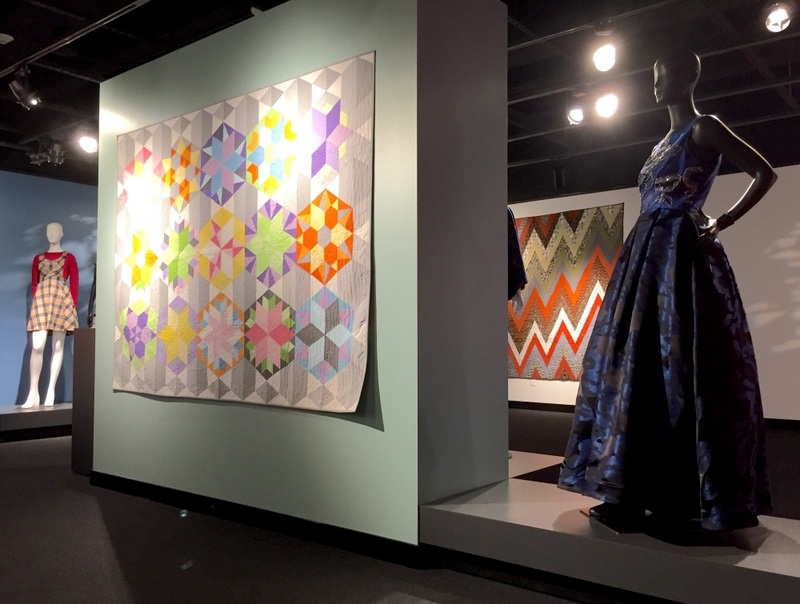 As with all twenty-three preceding iterations of the exhibition, this one showcases the work of youth from around the state, who competed at the Nebraska State Fair in the 4-H areas of Clothing, Home Environment, and Quilt Quest. Textiles, Merchandising & Fashion Design faculty members Mary Alice Casto, Michael James, Jennifer Jorgensen and Surin Kim served as jurors for these categories at the State Fair location in Grand Island. On Saturday September 30 the exhibitors and their families will participate in a special “Celebration of Youth Day” in TMFD, touring the department and the International Quilt Study Center & Museum, meeting and working with department faculty in mini-workshops and joining in a public reception in their honor that will take place in Room 11 of the Home Economics building on UNL’s east campus, beginning at 3:00 p.m. The public is invited to attend this event free of charge. During the reception each 4-H student whose work was chosen for the Hillestad exhibition will speak briefly about the selected work and its inspiration and execution. A special feature of the day’s program is a luncheon for the students and their family members in the Great Hall of the Quilt Museum at which Dr. Jane Schuchardt, former Executive Director of the Extension Committee on Organization and Policy for Cooperative Extension nationwide and a member of the UNL Chancellor’s Alumni Advisory Council, will speak about a special quilt created in her honor. 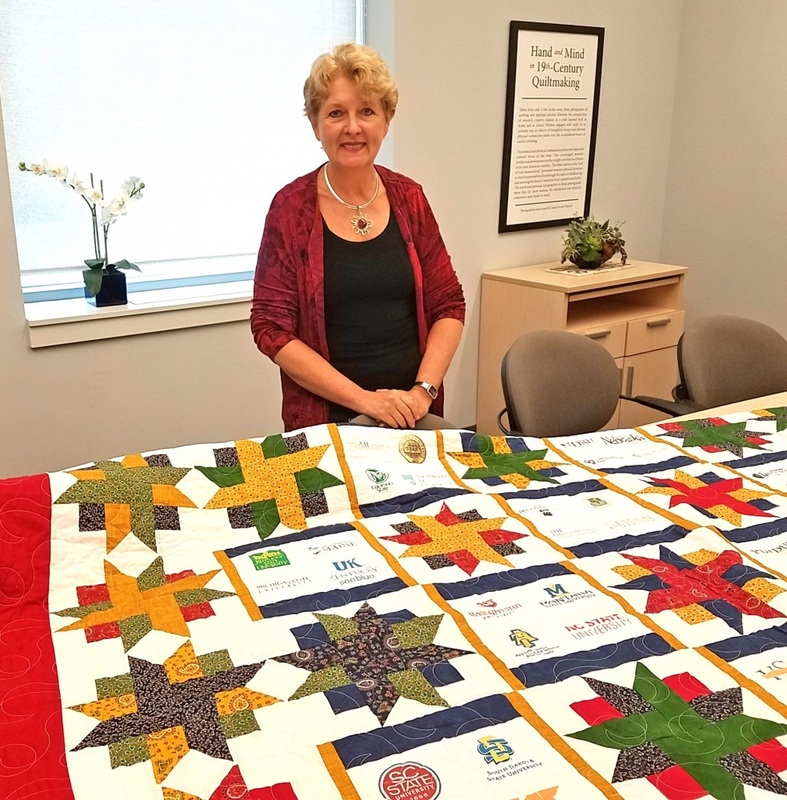 The quilt, designed and executed by Dr. Michelle Rodgers, Director of Extension at the University of Delaware, carries the logos of the seventy-six land grant universities that obtained that status through federal legislation, including UNL. It will hang in Quilt House’s Great Hall through that day’s visitor hours. Dean of Extension Chuck Hibberd will be on hand at the luncheon to introduce Dr. Schuchardt. In Nebraska, one in three age-eligible youth across all 93 counties is enrolled in 4-H, for a total enrollment reaching approximately 140,000 youth. These youth, ages 5-18, participate in 4-H through camps, clubs, school enrichment, and afterschool programs organized by Nebraska Extension. The citizens of Nebraska help shape the 4-H Youth Development program priorities including but not limited to college and career readiness, community development, entrepreneurship, healthy living and leadership development. Nebraska 4-H educational programs like the Quilt Quest, Home Environment and Clothing curricula represented in this exhibition, place strong emphasis on key life skills including critical thinking, problem solving, social skills, communication, responsibility, citizenship, and leadership. 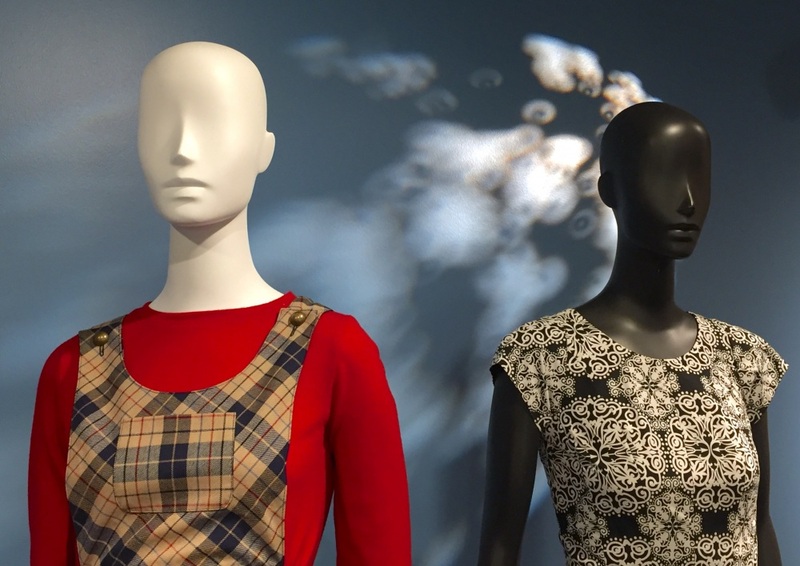 The Robert Hillestad Textiles Gallery is part of the Department of Textiles, Merchandising & Fashion Design in the College of Education and Human Sciences. Its mission is to educate and increase awareness of the rich traditions of art, craft, design and material culture expressed through the exhibition of all forms of textiles and apparel. The gallery is located on the second floor of the Home Economics Building on East Campus, on 35th Street north of East Campus Loop (map at http://go.unl.edu/j5v). Hours are 8:30 a.m. to 4:00 p.m. Monday-Friday and by appointment. Admission is free. Guest parking is available near the building and metered stalls are located in the Nebraska East Union lot. For more information, call (402) 472-2911 or visit http://textilegallery.unl.edu. Foreground-Park Bench Quilts, Eliana Babcock, Age 15, Lancaster County; Hand Beaded Blue Gown, Marta Pulfer, Age 18, Wayne County; Background-Plaid Jumper w/Red Wool Top, Karla Herrarte, Age 12; Zig Zag Fall Colors, Sarah Lucht, Age 15, Buffalo County. 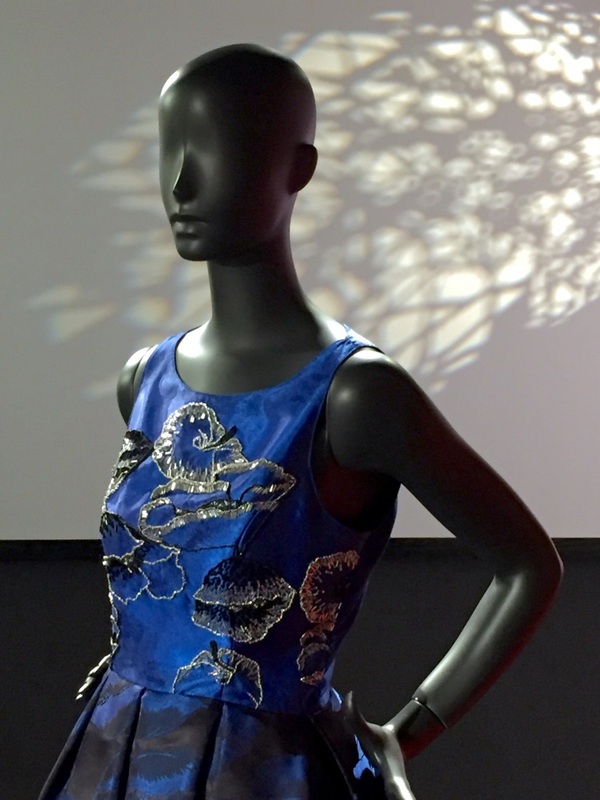 Hand Beaded Blue Gown, Marta Pulfer, Age 18, Wayne County. Hand Beaded Blue Gown, Marta Pulfer, Age 18, Wayne County (foreground) and Feather Quilts, Taylor Cammack, Age 17, Gage County (background). 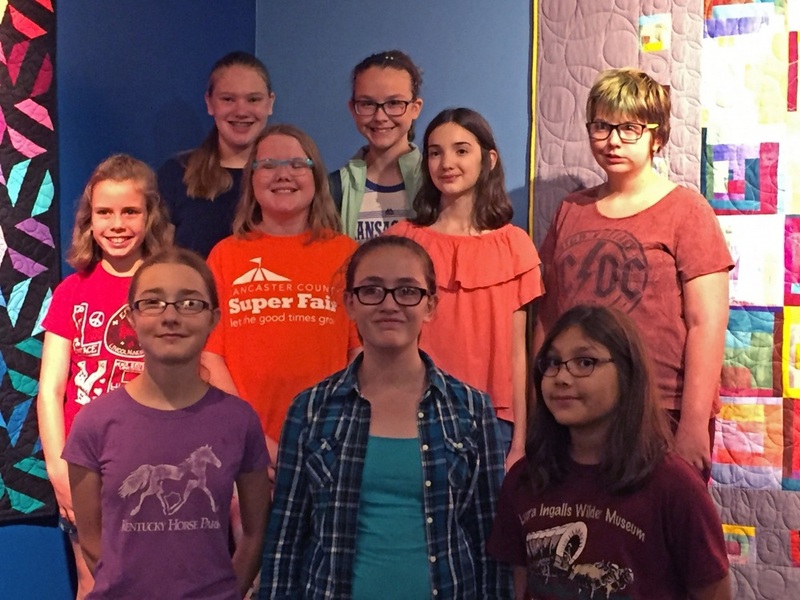 Members of the Lancaster County Sew Green 4-H Club visited the Celebration of Youth exhibition with their club leaders Amber Herrick and Shar Sieck on Saturday, September 16, 2017. Dr. Jane Schuchardt with the quilt made in her honor by Dr. Michelle Rodgers of the University of Delaware Extension.